Is there anything better than building up your girlfriends and making them feel beautiful, special, loved, and celebrated? ... I think not! When I took The Love Language Test, gifting was certainly one of my love languages. I've always enjoyed gift giving and use it as a way to express how much I love and care for others! Being a Bridesmaid is an honor and I take my duties as bridesmaid V seriously. Since my illness can be unpredictable, sometimes keeping me from celebrating those I love, I tend to put a lot of thought into what I can control, GIFTS! Generally speaking, as a Bridesmaid I don't purchase off the registry. Being a twenty-something comes with lots of weddings, it is such a fun time! Weddings can get expensive, and being in weddings can be even MORE expensive! Between medical bills, bridesmaid obligations, and travel as a wedding guest, I can't always afford to gift the Bride something off her registry. To keep weddings and gift giving enjoyable, instead of stress ridden, here are some tips from an (unofficial-professional) Bridesmaid for the most thoughtful & cost efficient gifts to give whether you love to DIY or prefer to online buy! 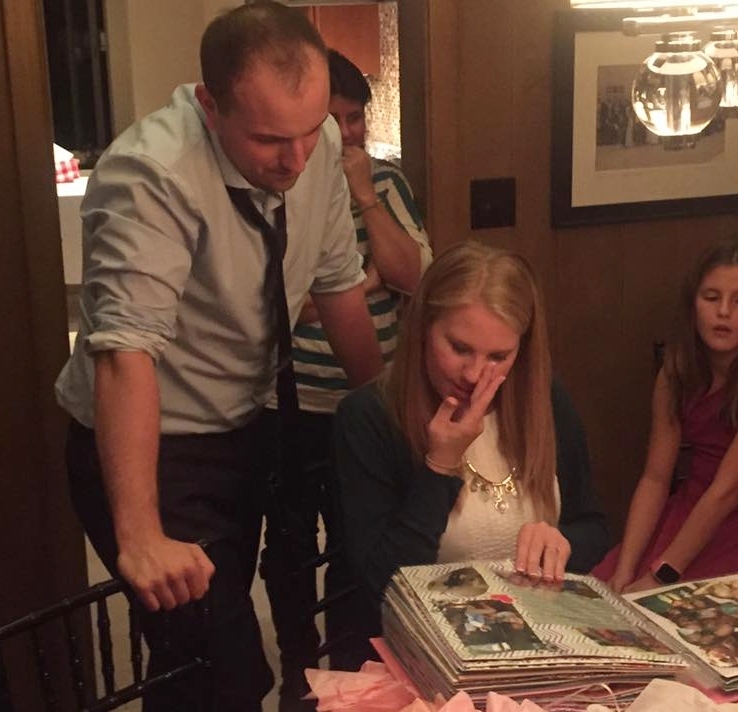 My favorite gift to give is the Letters to the Bride book! I have either made a page or created the book myself for every wedding I have stood up in! 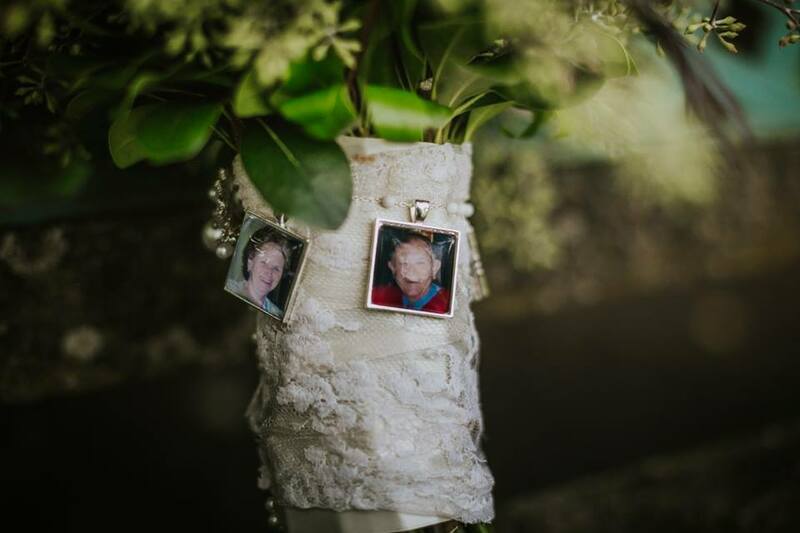 It's such a special gift to give the bride that everyone she loves contributes to, a keepsake that she can always look back on and that the family really appreciates! This is also a great gift to give as a Bridesmaid because of the thought and cost. It takes time and energy to put this together and can be as expensive or inexpensive as you make it. When you are in a wedding there are a lot of expenses that wrack up. Being in a wedding party, or even just being a wedding guest can really add up, I can't always afford to gift the bride something off her registry. This is what I have opted to do instead and honestly even if I could afford to get her the most expensive gift, I would prefer to make this... I mean, look at those faces! You wont get that kinda reaction opening a dish set. Here's how ya do it! If a family member that the Bride was close to has passed away or is ill, this is a perfect place to mention or memorialize them. For example, with my cousin Bridget's book, I had a page for each of her grandparent's that passed away. While I didn't have a letter from them, I included photos. For Corri's Book, her Godfather was ill and unable to travel to her wedding so I included a letter from him and it was special for her to have and a nice way to include him! 2. I make sure to gather any contact info I do not already have. Then, I compose an email and sometimes also a FB message or PRIVATE group (depending on the best way to contact) and explain all the info they need! In my experience, it's best to send this email about 2-3 months in advance of when you want the materials sent to you by! BELOW IS A DRAFT I HAVE SENT OUT BEFORE! I am putting together a SURPRISE “Letters to The Bride” book for BRIDE'S NAME, which I would like to give her at the Rehearsal Dinner (DATE). I know each one of you is very special to BRIDE and I’m sure she would appreciate a letter from you. I will keep each letter enclosed in an envelope so feel free to get personal without fear of anyone except BRIDE reading it! Note: please include your letter inside a separate envelope within the envelope addressed to me. In addition to the letter, please also send at least one photo (more than one preferred) of you with BRIDE or a photo you took of BRIDE, or any significant moments you’ve shared together. -OR you can email it to me at PROVIDE AN EMAIL! This allows me time to collect all of the mail, print any photos electronically sent to me, and create the book! Feel free to contact me with any questions! Thank you in advance, I can’t wait to see everyone SO soon! REMEMBER THIS IS A SURPRISE FOR THE BRIDE SO DO NOT MENTION TO HER PLEASE! I usually gift to the Bride towards the end of the Rehearsal Dinner so that she does not cry all her makeup off the morning of the wedding! That's just my preference, but feel out when the best time is, every wedding is different! As the letters are pouring into my mailbox and inboxes, I start to gather the book and supplies. 3. Find the scrapbook you want to use! The last few I have made, I ended up using Linen PhotoBooks, (again from Papersource)! They have other size options in similar styles! I have also used traditional 12X12 scrapbook paper but after a few times around I prefer the Linen Photobook because it looks a bit more mature. 4. Make sure you have the basics: Glue, Double Sided Tape, Paper, Stickers (Recollections , Thickers), Resume Paper, Envelopes (sold separately, match envelopes to wedding colors), a card from YOU (silly but I always forget this! ), and gift wrap! The worst part of scrap-booking is running out of supplies while you are making the book, my advice is to get more than you think you will need and keep your receipt if you have no plans to ever scrapbook again in your life! 5. Start saving any pictures and letters emailed to you in their own folder on your phone and desktop until you print them all (after deadline). *Make sure to print letters on resume paper (some people are not into handwritten letters and insist on typing)! I have a photo printer but before I had that I used Walgreen's photo or Shutterfly to print photos! 6. Based on how many letters and how many pages are in the scrapbook, I allocate who goes on what page and in what order! If there is space I leave extra pages for photos of MOH, Mother of the Bride, Groom. Space permitting, I like to include wedding celebration invitations (Save The Dates, Bridal Shower, Bachelorette Party, Rehearsal Dinner, Wedding Invite) & a few photos from each event! DO NOT TAPE OR GLUE UNTIL YOU FINALIZE THE ORDER! My cousin isn't into frilly or cutsie stuff so I avoided stickers and focused on photos and letters! In the past I have gone heavier with stickers, it all depends on the Bride and her style! It's fun to style it and customize it to each Bride's unique taste! I tuck extra photos in the envelopes along with the letter! If you're on a budget but love to give thoughtful gifts like me, I recommend ETSY! This is a great to give as an engagement gift, or at a Bridal Shower! I found these hangers on ETSY (for $41) and they are one of my favorite gifts to give as a bridesmaid! Think DETAILS! Brides are overwhelmed with a million decisions and sometimes forget the little details that can make these moments even more special! You have the option to select the color of wood finish & metal, as well as the color of the bow! 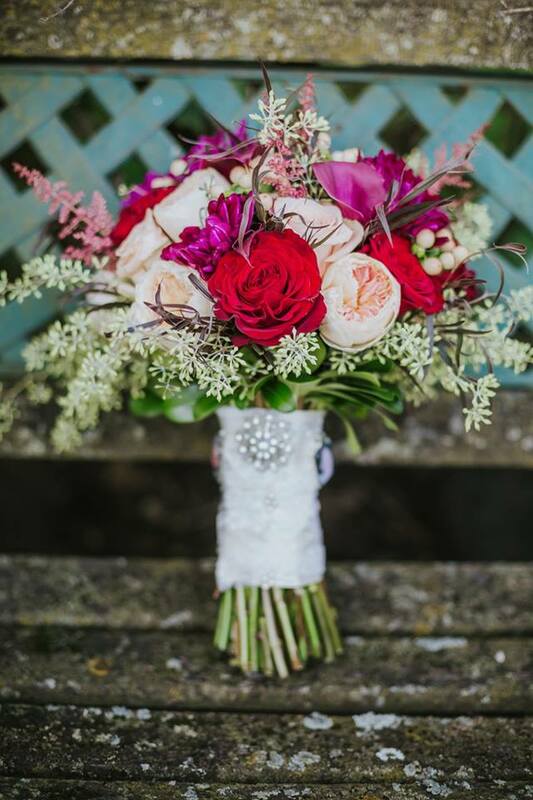 BTW the lace wrapped in her bouquet is from her mom's wedding dress! The SWEETEST Details! My cousin, Bridget was the first of us to get married following the loss of our grandfather. She and her husband has also recently lost her grandmother and his grandfather. We wanted to find a tasteful way to include their memory. I had her mom, sisters, and husband help me select their favorite photos to make into charms that we wrapped her bouquet in! I ordered this from ETSY (for $23 each)! Krissy lost her grandpa shortly after I lost mine and I knew it broke her heart. After having the charms made for my cousin's wedding I figured out how to make it myself for Kristen! I got this charm and chain from Micheal's and printed the photo at home after resizing it on my computer. When I started dating Paul, I worked part time at a boutique in Columbia, MO. We sold Moon & Lola customization monograms back when that was ALL THE RAGE! I had a necklace made for Paul's Sister (Corri) for her Birthday, with her maiden name initials monogrammed. It's been my plan all along to gift her one with Mark's last name initial as the monogram when they got engaged. So when Mark proposed, I knew right away what Corri was getting for her Birthday that year! I ordered a nicer and smaller (more mature & stylish) version from MOON & LOLA, and matched the silver of her engagement ring to the necklace! I love that she has that from Paul and I! Again, this can be given as a sentimental gift that can be made more expensive if you wish, but is still AS sweet if you get the more affordable option. There are tons of cheaper versions of the monogram necklace on ETSY, etc. When we have traveled to destination weddings, they have requested no gifts. I wanted to get them something small still, so I ordered a custom frame from Shutterfly and had their wedding date put on it! I waited until their wedding pictures were published and printed a photo for the frame! This was under $50 and I think it's a cute gift! Similarly, I have given framed engagement pictures as gifts at showers or to close friends who get engaged! It doesn't have to be an expensive gift to be one they love! My rule of thumb in gift giving is never give something (unless specifically requested) that you wouldn't want and to put a personal touch on it! I feel special to be included on the guest list of people's special day and I want to give them something that they will remember is from me but also holds special memories from this exciting chapter of life! Cute Engagement gift: Feyonce Sweater/Shirt, again from ETSY! Paul's sister got engaged over the 4th of July weekend! I love making cards so I made this and grabbed some flowers from Flowers By Emily and had this waiting for them when they got home from their weekend away (or course with a bottle of champs)!